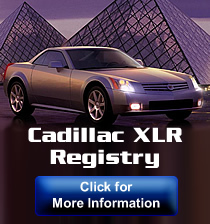 Roof delamination has been an issue with Cadillac XLR and some 2005 - 2013 C6 Corvette owners. 1. Location - Where in the U.S. do you live? 3. 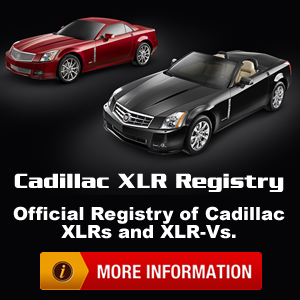 What type of driving in your XLR do you do: year round? Summer only? A big class action attorney spoke with me a few days ago about these when we were discussing another claim. I suggest people wait to see what GM is going to do instead of signing up with anybody . My experience is they do what they are going to do and if attorney is involved you get about 1/2 most of the time. Happened today 1/17/19, Southern Middle TN, 2005 Model Year. Driving to work (drive year round), heard the LOUD pop noise as described in the article. Immediately heard the extreme air infiltration noise. I continued on to work, and after arrival, upon exiting the vehicle, I did not see any issue. It was raining while driving and rained pretty much all day. When leaving for home, there were no signs of a leak. I stopped for gas, and took a closer look. The the middle of the top (front leading edge, appears to have separated from the structure underneath). You can push down the top shell and it will spring back up about 1/4" when you let go. The left and right leading edges of the top are solid, no movement at all when pushing down. Fortunate that the whole top piece did not fly off. Hoping that there will be an easy fix. I have a 2005 with 110k on it. Drive only nice summer/ fall days. When I first got the car (3 years ago) I would hear the wind coming in from the top seal. Took it to a body shop, sealed the roof back together. Runs fine. Boy this is not good!! Mine appears fine so far!! I drive my 05 everyday in New Jersey!! It Wasn't Broke Till I Fixed It!! the problem is you don't know it till about 30 seconds before it blows off. That's what makes it a big problem. I feel I got very lucky to find that the roof skin was coming loose. I’d be very interested if GM is going to have a recall. The stinking DRL’s are another big issue. Still love driving the car! Can you take a picture of where yours is loose and post it? Obviously I will check mine but a photo would be helpful to confirm that I am looking in the right spot. (at least in your case) My car has 41,000 miles on it (purchased with 7,) and virtually never driven with the top up and except for on long distance trips to the XLR gatherings or Florida to Ontario. I have never heard a 'pop' so I am guessing (read hoping) mine is still fine..... but I am going to check right now. You can't be a car collector with only one car! Get out & drive 'em.... 'cause if you don't - the next owner will ! I’d like to help you, but the car is in winter storage until April.